Being a good babysitter isn’t always easy. 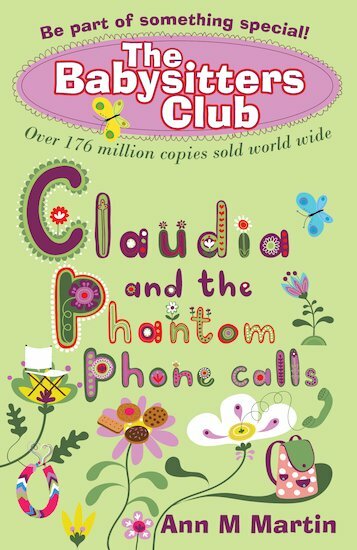 The vice-president of the Babysitters Club, Claudia Kishi, is learning that the hard way. She and the other club members have started getting mysterious calls on the job. Is it the Phantom Caller, a jewel thief who’s been breaking into houses in the area? One thing is certain – the friends need to take action to protect the kids in their care! Be part of something special with this addictive adventure from a series that’s sold over 176 million copies. Form your own babysitters’ club with badges for you and your friends. Tips to help you become the most gifted ghost story-teller on the block! Babysitters' Club Glam Your Garments! Ever felt your outfit needed that extra something? Grab your closest girlfriends and try some of our ideas! Make a yummy treat – much tastier than it sounds! When the snack attack hits, be prepared with this crunchy cravings killer! Enjoy a cool, tasty treat on a hot day! The ultimate summer game for warm summer nights!